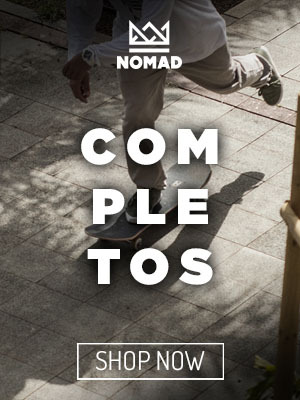 NOMAD SKATEBOARDS and KRID COLLECTIVE have been working together for a few years which resulted in many successful collections, and we are pleased to present to you our new project for this summer: NOMAD NORTH BOUND! NORTH BOUND started as an idea from graphic designer Christoph Zedler to make a journey with his van from his hometown Basel in Switzerland, up north to Arvidsjaur, Sweden, to remain there for a month with Wildact Adventure Tours before going back home. With the aim to spread our love for live art, skateboarding, and lots of kilometers ahead, we will stop in various cities to exhibit live and spontaneous collaborations with local skate shops and skateboard associations. 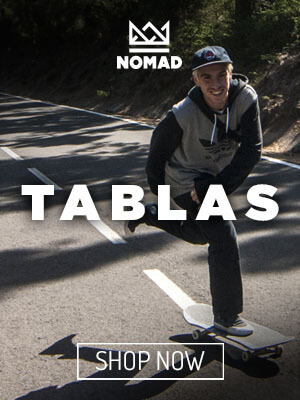 Our “Nomad studio” is equipped with a mobile screen printing installation for immediate printing on skateboards and apparel. Everyone affiliated with art, design and skateboarding will get the chance to see the design and printing process on the spot for that specific location coupled with a nice conversation and fresh drinks. Chris will be collaborating with all partners involved on the way of this amazing journey, designing from original concept to the materialization on decks and T-shirts, creating an unforgettable experience. As an extra there will be giveaways at each stop and the chance to win a unique deck that will be designed bit by bit during the journey. We will be documenting the journey and share the whole experience on the website and through our channels on Facebook, Instagram, and Twitter. Follow and join our North Bound adventure!